Yellow Archangel/Dead NettleDeciduous perennial. 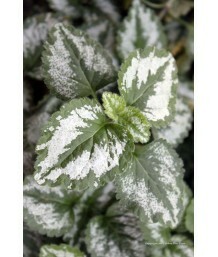 Forms a dense mound of metallic silver foliage with..
Yellow Archangel/Dead NettleDeciduous perennial. Forms a dense mound of deep green foliage with splo.. Spotted Nettle/Dead NettlePerennial shrub. Pink flower. Leaves are yellow with white stripe. Deer re.. Spotted Nettle/Dead NettleEvergreen perennial. Deciduous in cold climates. Beautiful silvery-white l.. Spotted Nettle/Dead NettlePerennial shrub. Pink flower. Leaves are green with white stripe. Deer res.. Spotted Nettle/Dead NettlePerennial shrub. Pink flower. Leaves are green with yellow edge and white .. Spotted Nettle/Dead NettleEvergreen perennial. Deciduous in cold climates. Beautiful, scalloped silv.. Spotted Nettle/Dead NettlePerennial shrub. Pink flower. Leaves are silver with green edge. Deer resi.. Spotted Nettle/Dead NettlePerennial shrub. White flower. Leaves are silver with green edge. Deer res..
IceplantFrost-tender evergreen perennial. Best in coastal or frost-free climates. 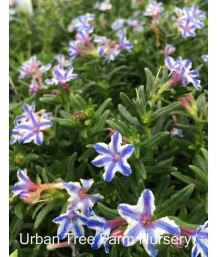 Used as groundcove..
LantanaSemi-evergreen shrub or groundcover. Can become deciduous in the frost. 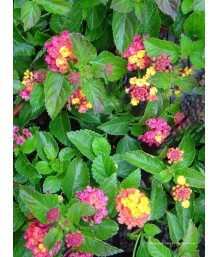 Profuse color year ro..
LantanaSemi-evergreen perennial. Aromatic dark green leaves grow into a shrubby mound. Numerous roun..
LantanaSemi-evergreen shrub. 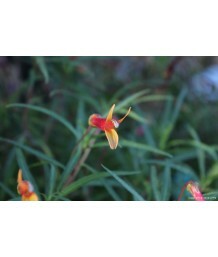 Profuse color year-round from masses of vivid orange-red flowers! Beaut..
LantanaSemi-evergreen shrub or groundcover. Can become deciduous in the frost. Profusion of pure whi..
LantanaSemi-evergreen shrub. Will become deciduous in the frost. Covered with rounded clusters of re..
LantanaSemi-evergreen shrub. Will become deciduous in the frost. Covered with rounded clusters of go..
LantanaSemi-evergreen perennial. Aromatic green leaves with creamy white edges grow into a shrubby m..
African FreesiaDeciduous perennial. Smooth blue-green grass-like foliage grows in clumps and spreads..
Dwarf/Coopers False ScilliaDeciduous perennial. 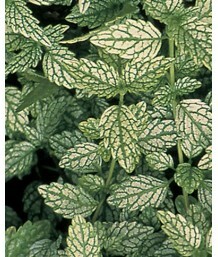 Narrow, olive-green leaves have dark purple markings..
Mint Lion's TailDeciduous to Evergreen perennial. Erect growth habit. Medium green, triangular leave..
Bush CloverDeciduous perennial. Elongated bluish-green leaves. 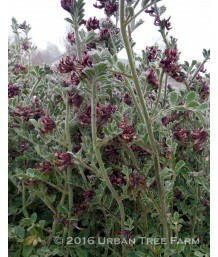 Rosy-purple, pea-like flowers are gro..
California Beach AsterEvergreen perennial. California native hybrid. Used as groundcover. Attractive..
Shasta DaisySemi-evergreen perennial; will keep foliage in mild winters. Coarse dark green leaves sp..
Shasta DaisySemi-evergreen perennial; will keep foliage in mild winters. Coarse medium green leaves ..
Shasta DaisySemi-evergreen perennial; will keep foliage in mild winters. Coarse deep green leaves sp.. Dwarf Shasta DaisySemi-evergreen perennial; will keep foliage in mild winters. Coarse medium green l..
Texas SageEvergreen perennial. Slow growing shrubby habit. Small, soft, green leaves. Small lavender..
Gayfeather/Blazing StarDeciduous perennial. Green grassy leaves grow from thick, often tuberous root..
Tukauki/MikoikoiEvergreen perennial. Relatively broad, bright green leaves form a clump. Branching c..
LibertiaEvergreen perennial. Forms colonies by rhizomes. Narrow, stiffly erect, olive green leaves h..
Leopard PlantDeciduous perennial. Forms a clump of large, glossy, purple-black leaves. Bold daisy-li..
Leopard PlantDeciduous perennial. Forms a clump of huge, leathery, toothed, purple-black leaves. Bol..
Leopard PlantDeciduous perennial. Large, jagged-edged green leaves. Purplish black stems rise above ..
Statice/Sea LavenderDeciduous perennial. Wide medium green leaves grow from the base into tight moun.. Pink ToadflaxDeciduous perennial. Used for groundcover. 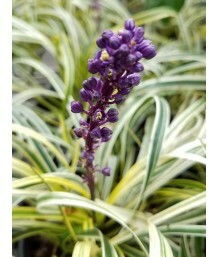 Narrow grey-green leaves form a low, soft ca..
Blue FlaxDeciduous perennial. 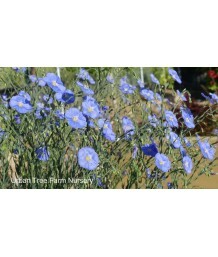 Blue-green needlelike leaves grow on graceful arching stems. Beautiful..
Lily TurfEvergreen perennial. Slow growing. Rounded fountain-like clumps. Narrow dark-green, thick g..
Lily TurfEvergreen perennial. Beautiful grass-like forest green foliage grows in dense clumps, great..
Lily TurfEvergreen perennial. Not Sunproof - best in shady areas. Beautiful grass-like green and cre.. Creeping Lily TurfEvergreen perennial. Slow growing. Rounded fountain-like clumps. Narrow, thick gra..
Purple GromwellSemi-evergreen perennial. Used for groundcover. Dark green sprawling foliage grows in..
Cardinal FlowerSemi-evergreen perennial. Deciduous in cold winters. Narrow green leaves with red ste..
Cardinal FlowerSemi-evergreen perennial. Deciduous in cold winters. Beautiful glossy deep red leaves..
Cardinal FlowerSemi-evergreen perennial. Deciduous in cold winters. 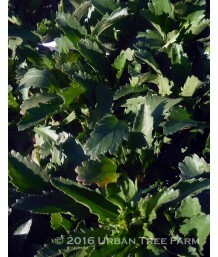 Beautiful glossy deep green leav..
Torch Lobelia/Mexican LobeliaSemi-evergreen perennial. Deciduous in cold winters. Narrow green leave..
Cardinal FlowerSemi-evergreen perennial. 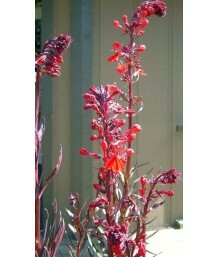 Compact bronze-green leaves grow on upright branches, givin..
Cardinal FlowerSemi-evergreen perennial. 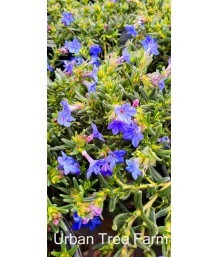 Compact deep purple leaves grow on upright branches, giving..
California Native Otay Mountain LotusFrost-sensitive evergreen perennial. California native. Soft gr..
LupineDeciduous perennial. Soft green leaves with a slight fuzzy texture grow low and bushy. Large f.. Greater WoodrushEvergreen perennial. Dark green leaves with a creamy yellow margin grows in low patc..
Maltese CrossDeciduous perennial. Beautiful dark bronze-green foliage grows bushy and full, giving t..
Rose CampionDeciduous perennial. 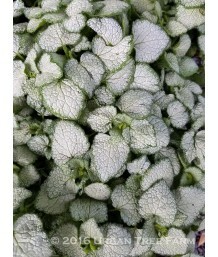 Beautiful silver-green foliage grows bushy and full, giving this pl..
Sticky CatchflyDeciduous perennial. Medium green grass-like foliage grows at the base of the plant i..
LoosestrifeDeciduous perennial. Can be invasive. 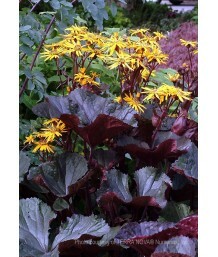 Beautiful dark maroon-green foliage grows bushy and..
Gooseneck LoosestrifeSemi-evergreen perennial. Evergreen in mild winters. Can be invasive. Used as g..
LoosestrifeDeciduous perennial. Evergreen in mild climates. Can be invasive. Beautiful light and dar.. 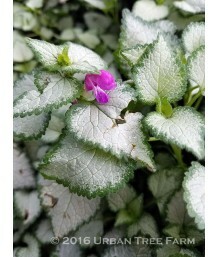 Creeping Jenny, MoneywortSemi-evergreen perennial. Evergreen in mild winters. Can be invasive Used a.. 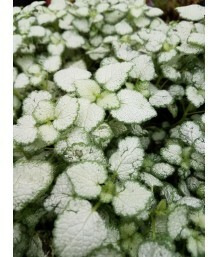 Creeping Jenny, MoneywortSemi-evergreen perennial. Evergreen in mild winters. Can be invasive. 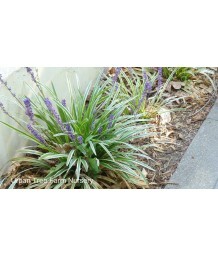 Used ..
LoosestrifeSemi-evergreen perennial. Used as groundcover. Can be invasive. Bright bronze-green leave..